We're just an average family of four...if there is such a thing. We live on our four-acre farm in Green Hills, just outside of Reading, PA. That is, except for our oldest son, who is now pursuing an apprenticeship in violin making in Beacon, NY. I'm Len Smith, Video Producer by profession, and gentleman farmer by choice. I produce TV commercials and corporate video for a variety of small and large businesses in the Southeastern PA region. I run my own production company- Turning Point Media from our home studio here on the farm. Having both a high-tech and a low tech business presents an interesting combination of challenges and opportunities. In fact, the name of the business Take2 Alpacas arose as an homage to our video business, which has made this adventure possible. The high-pressure, fast-paced video business is counter-balanced with the more casual, slow-paced lifestyle of raising Alpacas. 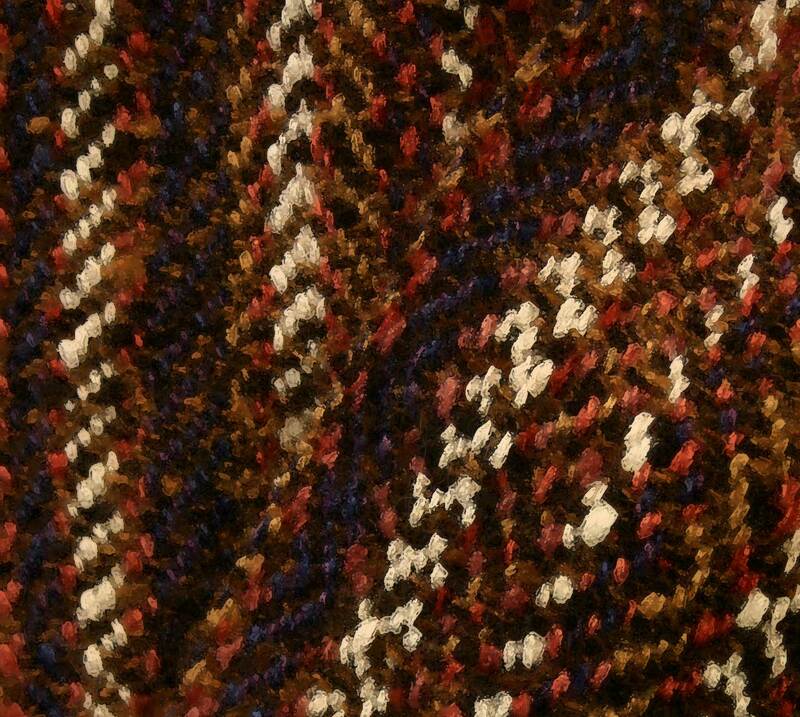 As a result of raising Alpacas, I've also taken up weaving, using the fiber from our herd to create scarves, Shawls and rugs. 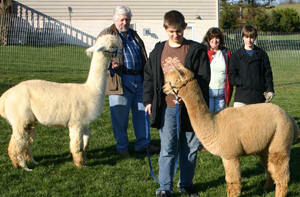 My wife, Jo Griffith, takes on the lead role in managing our Alpaca business. She handles the research, medical records and breeding program. She also manages our fiber processing, manually cleaning and combing the fleece. She hand spins much of the fleece into yarn, then hand-dyes the white yarn to give us a broader color palate for weaving. When she's not doing all that, she's the assistant controller for a local industrial company, an accomplished quilter, quilt appraiser, and instructor. And she cans and freezes the bounty from the garden. So...then you say, hmm, what do you do with your spare time? 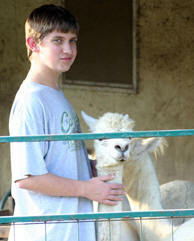 Our youngest son, Dylan, serves as our all-around ranch hand. He has also learned to weave scarves and shawls from the alpaca fleece. 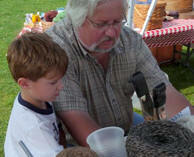 You can find much of his work in our Handworks by Take2 section of our on line farm store. His main interests are video games and music, but does enjoy getting out and helping manage the animals at feeding time. And he loves riding the mowing tractor, keeping our four acres of peace and tranquility, very well-groomed. Our oldest son, Max is a 2014 graduate of Millersville University with a double major in Music Education and History. He now lives in Beacon, NY and is pursuing musical interests there. Even though he's not physically here at the farm, this is where his heart will always be. To find out more of "how we got here", check out "The Back Story".